Spring comes early to Southern California. Actually it is spring/summer year round. 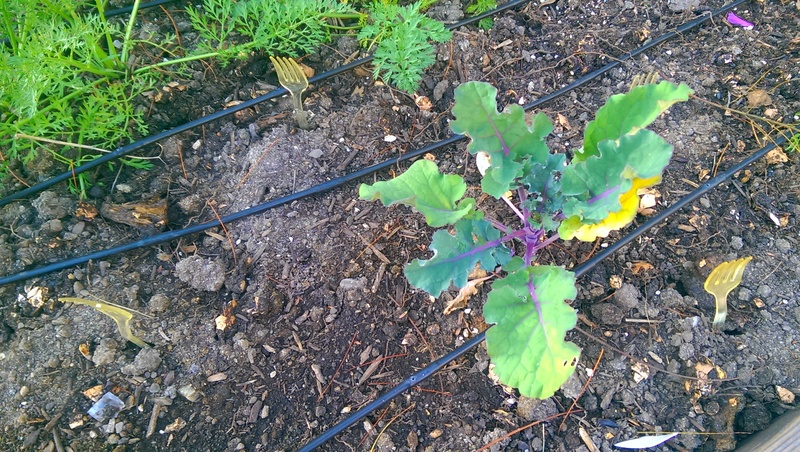 Which means I harvest veggies, greens and herbs throughout the year but this year the constant sun and just one day of rain led to the growth of dormant seeds in the ground. I had a lot of basil, so it was pesto time. Pesto comes from Genoa, northern Italy and is typically made of basil leaves, garlic, pine nuts, olive oil, Parmigiano Reggiano and Pecorino sardo. But these days it is nothing more than a flavorful savory paste of herbs and oils that can be used for pastas, on top of eggs, mixed with roasted brussel sprouts and veg, as a dip or a spread in a wrap and so much more. 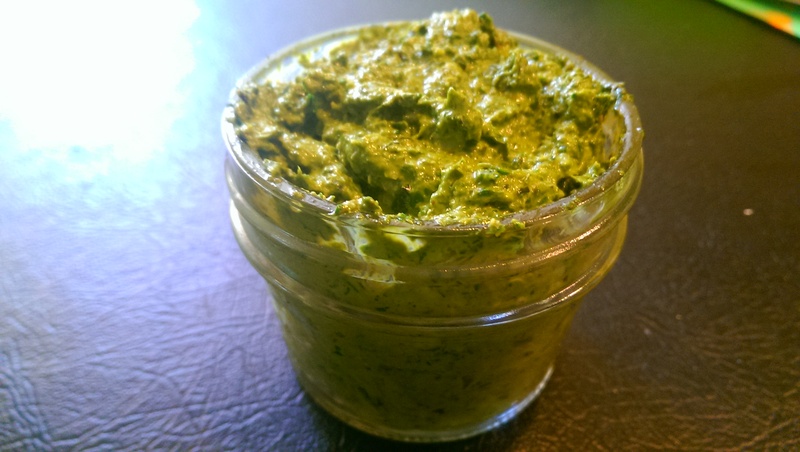 I have found pesto as a great way to add a variety of nutrients into my diet and to use up veggies in the fridge or garden. It’s nearly been six years since I relocated from NYC to LA, and I still refer to myself as a displaced New Yorker, but in truth I have acclimated quite nicely. In part because I have a yard in which I can grow a lot of what we eat. 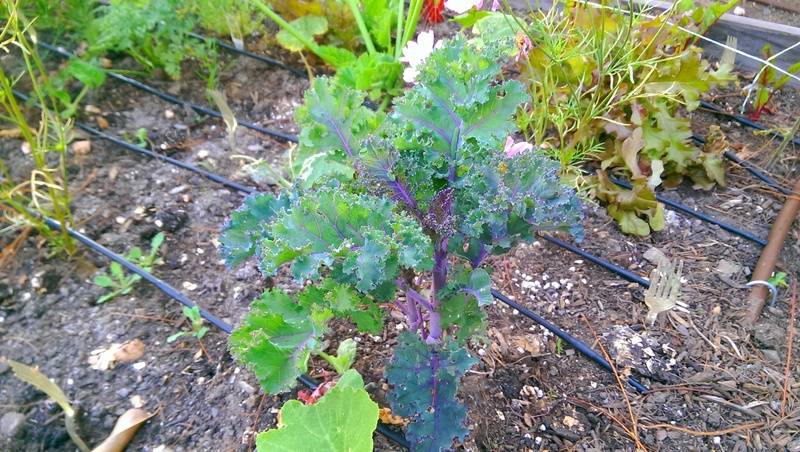 We had an over abundance of greens, especially purple kale and as mentioned, basil. We also have weekly year round deliveries from a local CSA (community supported agriculture) and since I don’t have time to go into the system and customize our box, I just have to use what they give us. Lately it our boxes have included a ton of beets – so I decided to use the beet greens in the pesto and use the beets for a zucchini noddle ravioli (next post). I wanted to change up the texture and favor of the pesto with the nuts – make it heartier and thicker. 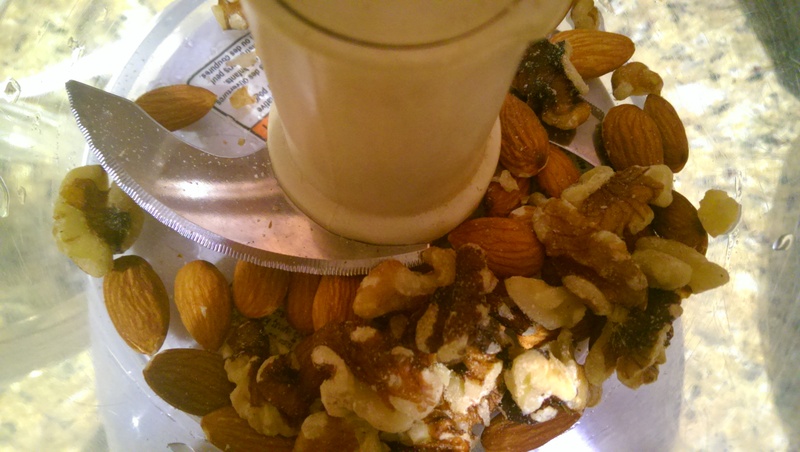 So rather than use pine nuts, I used almonds and walnuts. 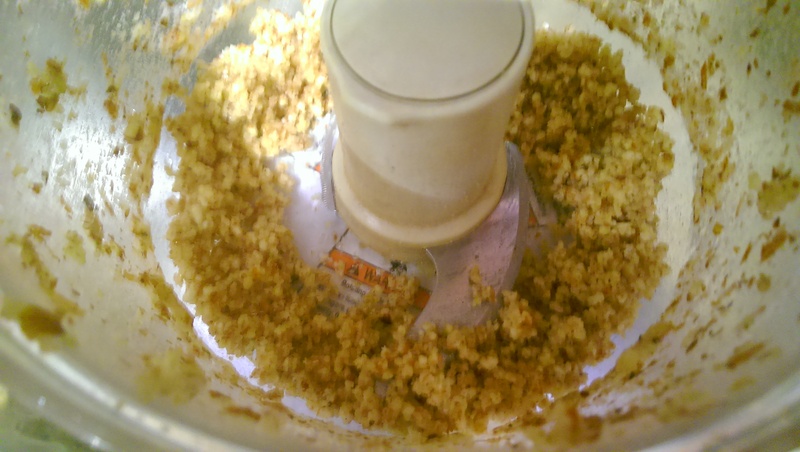 Using whole raw nuts, I chopped them in the food processor until they were diced fine – the mixture will be a bit sticky as the oil is coming out of the nuts. I then added in the rest of the ingredients – purple kale, beet greens, garlic, lemon and basil and pureed adding in oil slowly until it reached a consistency I wanted for my dish. Rather than use a salty cheese like parm, I blended with a Himalayan pink salt to taste. The kale and beet greens gave it a nice green color. 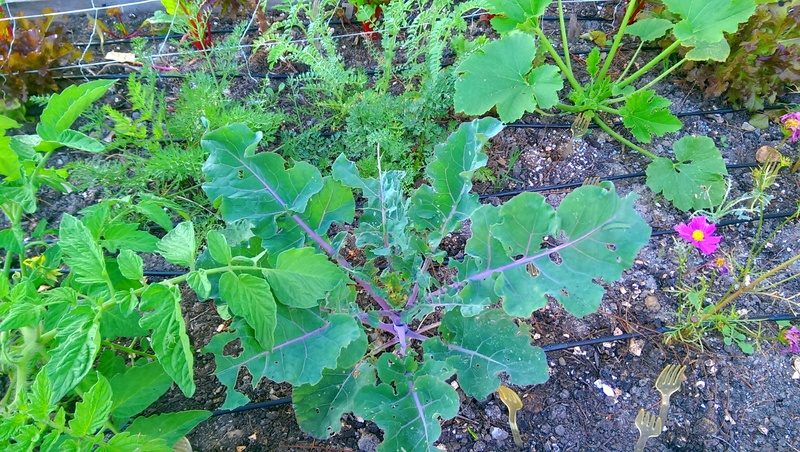 And were loaded with nutrients not only because they are leafy greens but from the addition of colors (see my post on hybrids, species and varieties for more about colors in veggies). I decided to serve the pesto as an appetizer using my faux-meatballs made from mushrooms and nuts, so I blended the pesto until it had a thick consistency. 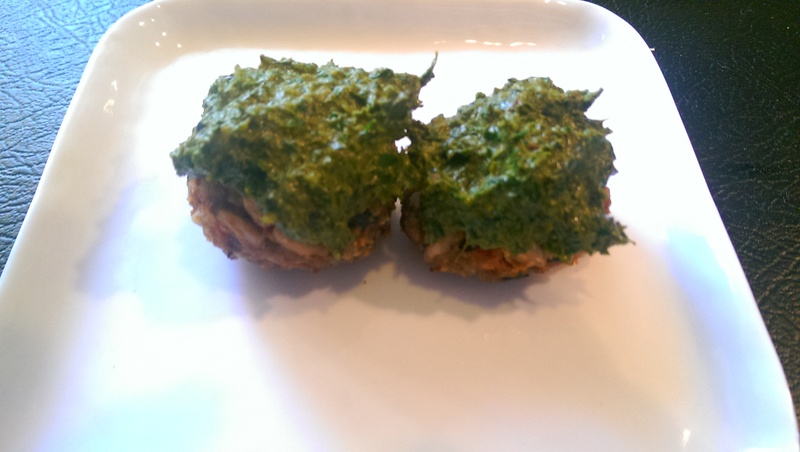 A dinner guest who routinely eats meat at most meals remarked that these small mushroom nut balls with a green nut pesto were filling. 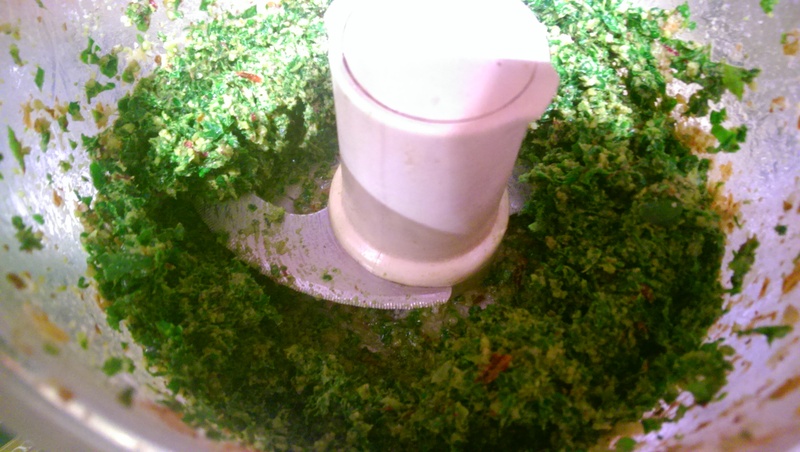 No one guessed that the pesto was made with ingredients other than basil and pine nuts. Pestos are also a great way to preserve and freeze your fresh greens and herbs – I make several different kinds of pesto and store them in ice cube trays in the freezer. They also make great housewarming gifts in a mason jar with a bow. I froze some of the thicker chunkier paste. The I made another batch in which I blended the pesto further with more olive oil, salt and lemon juice to make it a little more smooth and runnier in consistency. I wish I had taken a picture, but I ate it too fast – the best use of of this pesto was on top of a bowl of porridge-like polenta with a poached egg. YUM!